Pondicherry is one of the most popular travel destinations in South India, well-known for its upbeat elegance. Popularly called the Pondy or the "Pdy," the city reflects the influences of its long, rich history. The arrival of Dutch, Portuguese and French colonialists have left their cultural mark on the city. Hundreds of tourists arrive here looking for a unique and special time. 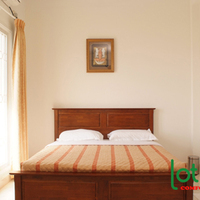 Besides hotels, many of them prefer to stay at the service apartments in Pondicherry that offer both convenience and privacy. As Pondicherry is well-connected to the neighbouring cities, it is easy to reach via road, rail or by air. While the older 'French' part of town is clean and quiet, the newer part is hectically south Indian. In the older city, you will come across colonial-style townhouses and streets lined with bougainvillea orchards. Get ready to enjoy French food, fabulous shopping along with plenty of yoga and meditation venues around. There is plenty to do and see in Pondicherry, and one should not miss the chance to savour the best of best desserts at the aesthetic looking cafes. Pondicherry offers a wide range of versatility from hippie clothes to beautiful scarfs. All you need to do is look for an excellent accommodation to stay, and you are all set to go to explore this beautiful place at its best. There is a growing demand for Pondicherry hotels and service apartments and it is for good reasons. These are located at prime locations and available at great prices. The demand is also growing because of the growing awareness of their advantages. More and more tourists appreciate what they can get in these apartments that hotels can't offer. 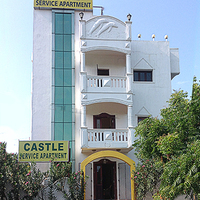 Service apartments in Pondicherry offer a better value of money and more space as compared to other accommodations. 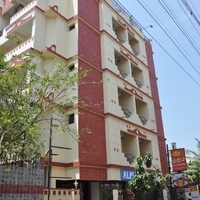 One can benefit from laundry, internet, and food, which are standard facilities offered at these apartments. Other standard amenities include AC rooms, flat screen television, well-fitted bathrooms, and 24 hours services and help. Friendly hospitality and attentive services make you feel like you are at home. One can enjoy other amenities and personal services. The rooms are specifically designed to provide homely warmth and comforts to every guest. Enjoy magnificent views of the city from every room! People are beginning to realize that serviced apartments come out to be cheaper and better when compared to hotels. Fast bookings and easy savings! Serviced apartments make for a great choice, whether one is on holiday or a business trip. One could be travelling with their family or friends or business colleagues for a short trip or an extended stay. Guests can always look forward to ample space and complete privacy when they choose to stay at these apartments. There is always a big advantage of home-like comfort and hotel-like luxury when you pick a serviced apartment for your trip. Moreover, you not only get great options but can also make great savings when you book service apartments in Pondicherry. Alps Apartment , Castle Service Apartment , Lotus Suite Serviced Apartment are known for their great locations and beautiful views around. Enjoy your stay in well-furnished cosy rooms of these service apartments that are located near to the main road and top tourist attractions around the city. Take advantage of the fabulous deals and offers on Cleartrip.com and enjoy your stay in one of the most fascinating cities in India, Pondicherry. Start looking early for the right deals. We will not disappoint you when looking for prime service apartments for hiring accommodations at the most sought-after destinations within India and abroad.